At Don of all Trades Professional Home Maintenance Services, we are always contacted by clients to assist them with unique and special projects around their home. This striking staircase will certainly make an unforgettable statement when family and friends come to celebrate over the Christmas Holidays. In many houses, the staircase is the first architectural element of the home’s interior that guests see, so homeowners want it to be appealing. A banister handrail on a staircase gets touched a lot. As people walk up and down the stairs, they often grasp the handrail whether they need to or not. The handrail can give you a sense of security as you move along the stairway, but over time, the oils from your skin can damage the paint, and the simple act of sliding your hand along the handrail can wear away the paint. 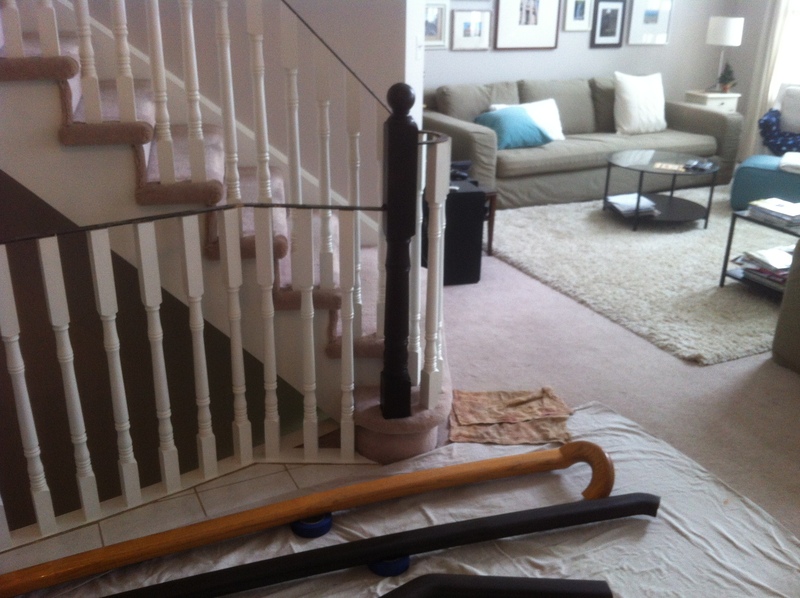 Painting the banister handrail can return it to its original state. Simple fact is, you can’t have a two-story home without a staircase. 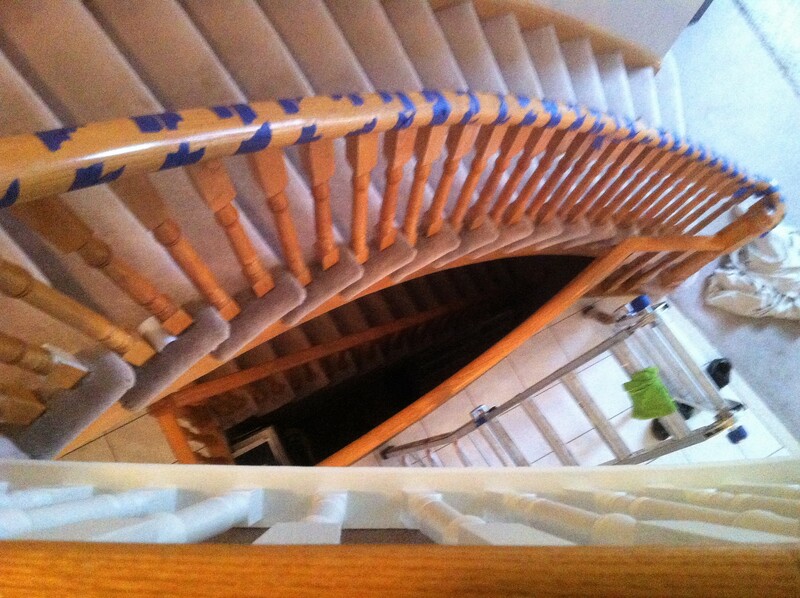 However, the fact that your staircase needs to be redecorated every once in a while is often overlooked. 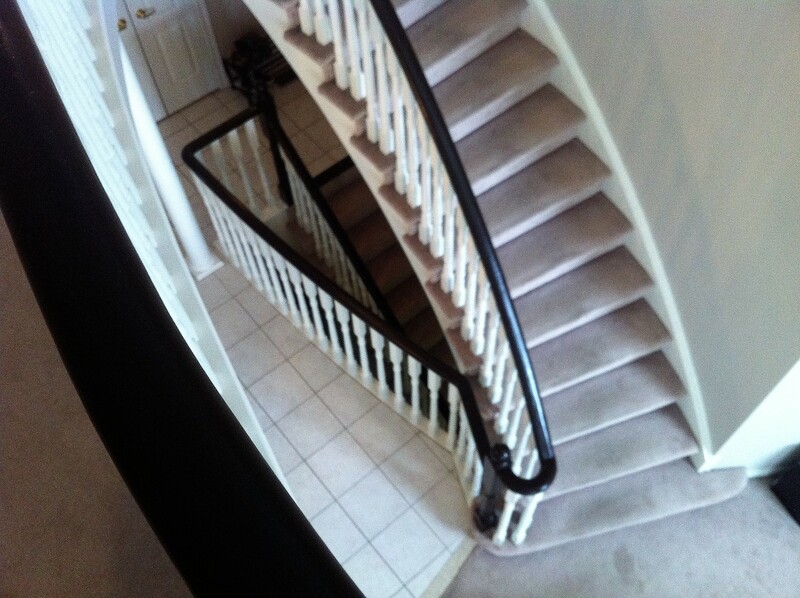 A decorated and refinished staircase can offer a complete change without even doing that much. We can’t forget the wear and tear, that no matter what, will happen to our beautiful stairs over time. So it’s crucial to give them a little face lift from time to time. Also, a redecorated staircases can command attention and thus become the focal point of your foyer or hallway. General Repair might include just simply refinishing your wooden stairs for a new look. Or, perhaps all you need is fresh carpet for your carpeted staircase, and of course you could always change your carpet staircase to a wooden one as well. But if you are looking to do a little more, we have a few tips and ideas for you. We made a trip to our local Whitby Shores Décor Centre and got assistance from the Benjamin Moore Colour Consultant team. They gave expert advice on the type of paint to choose for this particular project with results our client were looking for. We chose the Benjamin Moore Cloud White for the balusters. The colour of choice for the Banister/Handrail was to be painted in Espresso with a finishing coat of Satin Varnish Clear Coat. View our slide show below to see the before and after photos. No Priming. No Sanding. No Top Coat required. Low V.O.C.. Used for a non-distressed application. Simply prep and paint. Cottage Paint’s new mineral paint that is reinforced with acrylic and urethane for a very durable finish that offers great adhesion to glossy surfaces. More than just a furniture paint. It can be used inside and out to paint walls, trim and doors. Available in the 50 Shades of Cottage paint. Note: Surfaces must be clean, sealed and sound. Our team at Don of all Trades Professional Home Maintenance Services spent most of our first day prepping the staircase for the painting process. If you are planning a DIY project for your own staircase, please remember to have patience. This project was very labour intensive and a second set of hands and eyes will help go a long way in the painting process. Our client was extremely pleased at the transformation of this staircase and that it was completed just in time for the Christmas Holidays! All 113 Balusters, 5 Newel Posts, String and all Facia were given 3 generous coats of Cloud White Shade Cottage Paint to ensure maximum coverage. 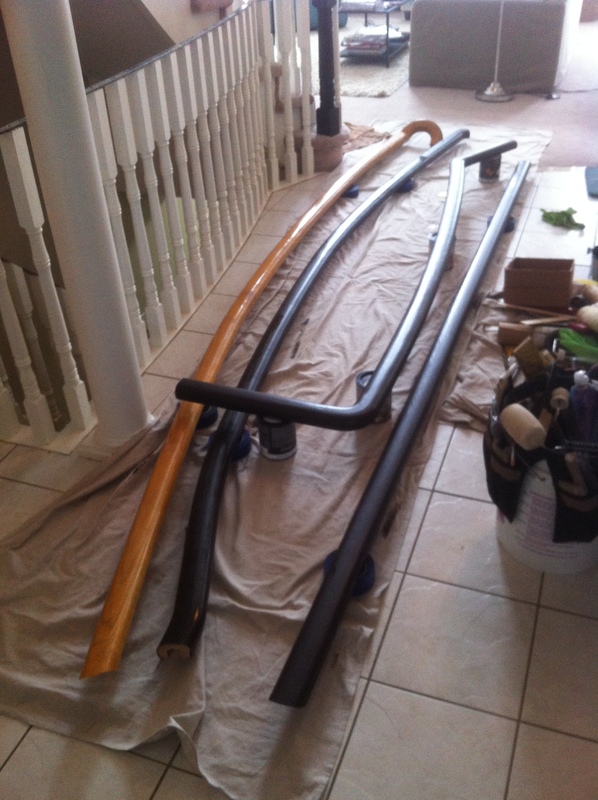 All 38 feet of Handrail and Banisters were painted in the Espresso shade of Cottage Paint. Followed by 3 coats of Satin Varnish Clear Coat and reassembled to give this winding staircase a beautiful rich sheen. Question about your home improvement project? 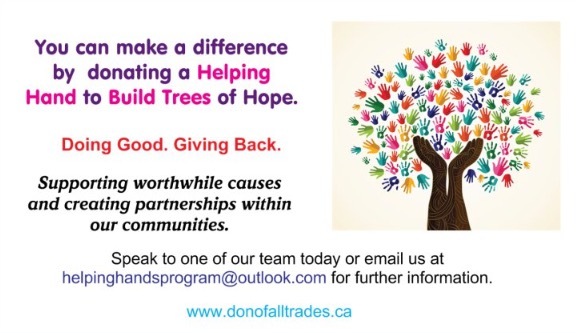 Visit http://www.donofalltrades.ca to find out how you can help!